This article appears today in USA Today. Various states have sued the largest mortgage originators: Chase, Citi, Bank of America, Wells and Ally. The settlement will allow homeowners who were given mortgages under deceptive practices assistance with reducing their mortgages and refinancing. I was a mortgage underwriting for Chase back in the early 90's and have written $750,000,000 in mortgage loans so I am very familiar with the process. Most of the fraud was perpetrated not by the banks' themselves who are under the eye of the OCC but by mortgage brokers and correspondents who underwrite the loan and then sell the closed product to the large banks. Mortgage Finance companies were not under the eye of the OCC or any federal agency but are monitored at a state level. The department of Banking and Real Estate literally has 2 investigators - no way could they really monitor these institutions. I, myself, have come across two homeowners who not only bought at the peak of the market but overpaid substantially at that time. One shared his appraisal and it was complete garbage. They sued the appraiser and won. The appraiser lost his license, but unfortunately it still left my client was in a hole so deep he couldn't get out of it. The bank actually refused to foreclose because they didn't want the carrying costs. After 3 years it's still in default and still in the process of foreclosure. What it could mean for the rest of us, is the real beginning of putting the crash of 2008 behind us. The shadow inventory will finally be able to come on the market and sell. This along with the great news about unemployment makes me think that we are turning the corner on a very difficult period in our economic life. Go USA!! California and New York have agreed to join a federal-state settlement involving alleged deceptive practices by five leading mortgage servicing companies that could reach $25 billion. New York and California were two of the most prominent holdouts from the settlement, which could be announced as soon as Thursday and has been under discussion for almost a year. As of Monday, more than 40 states had signed on to the deal. The addition of California, the state with the most foreclosures, means the settlement is more likely to hit the $25 billion mark that has long been reported as the expected total. As of late Wednesday, negotiations were continuing, said officials close to the talks who requested that they not be named because of the sensitivity of the discussions. Previous forecasts that negotiators were close to announcing a deal did not come true. •About $17 billion for principal reduction for about 1 million borrowers. •$3 billion to help hundreds of thousands more borrowers refinance into lower interest rate loans. The servicers involved in the deal are Bank of America, JPMorgan Chase, Citigroup, Wells Fargo and Ally Financial.•$1.35 billion in cash for hundreds of thousands of other borrowers harmed by improper mortgage servicing practices of the five largest servicers. Other servicers are likely to join the deal in the future, state officials have said. A monitor will be appointed to oversee the agreement. Along with financial costs, the settlement is expected to create what supporters say are the strictest standards to date for how mortgage servicers should treat distressed home loan borrowers in the future. 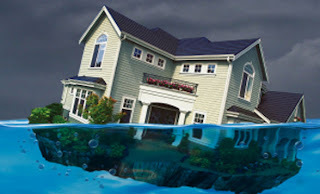 Negotiations leading up to the settlement followed revelations in 2010 that many foreclosures were not properly carried out. Support for the settlement by so many states increases chances that it'll be viewed as a win for the state attorneys general. It also arms the Obama administration with more ammunition for its claims that it's adequately addressing the U.S. foreclosure crisis. But the settlement also falls far short of fixing all that went wrong in the U.S. mortgage industry, after risky loans were extended to millions who couldn't afford their homes. That helped lead to a collapse in U.S. home prices, which are down an average of 33% nationwide since 2006. The settlement will not compensate the vast majority of U.S. homeowners who have seen their home values plummet, but kept making payments. Instead, the bulk of the settlement will help homeowners who are on the brink of foreclosure — but have also continued to make their payments — with principal reductions.